Gone are the days when mobile phones are limited to their call and text functions. Nowadays, they boast of amazing features that incorporate other aspects of our everyday lives into a single gadget. We could now listen to music anywhere, take superb photos, and do more with our mobile phones. 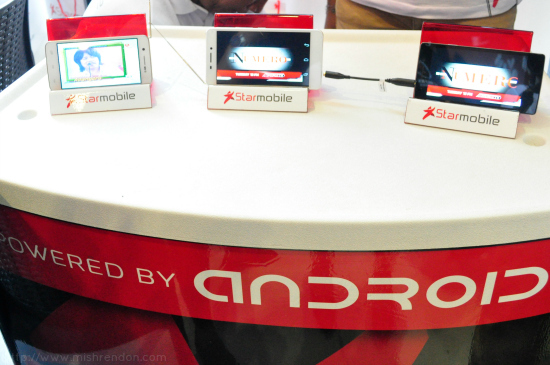 We could now also watch TV on some mobile phones available in the market. 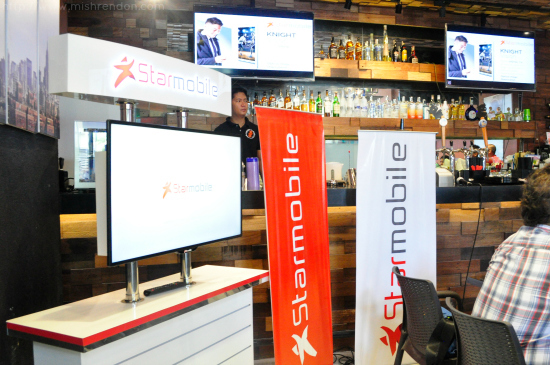 And that feature is made even better through the launch of the first line of Digital TV Phones in the Philippine market by no other than the country's most innovative mobile brand - Starmobile. 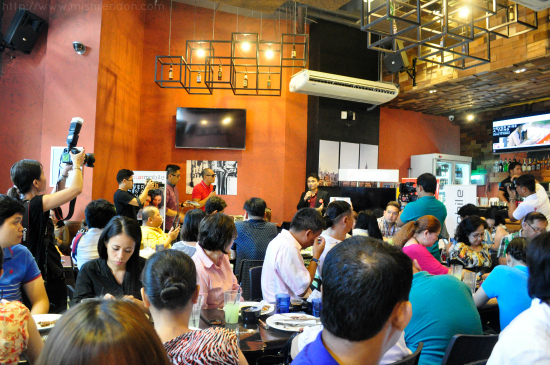 During an event held a few days back at Burgers and Brewskies in Estancia, we were the first to witness this new line of Digital TV Phones. These mobile hybrids allow you to watch cable-quality Digital TV (DTV) Channels for FREE anytime and anywhere DTV services are available. You can choose from three models: the big-screen KNIGHT Vision, the slender UP Vision, and the big battery UP Max. 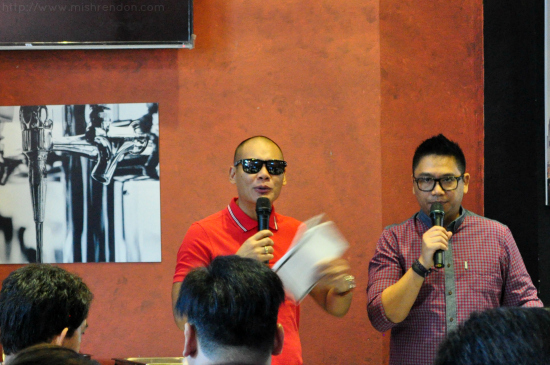 Leading the pack is the KNIGHT Vision (P9,990). It comes with a quad-core processor with 2GB of RAM, an HD screen in-plane switching, which means that images look great from any angle. It comes with real-time recording technology so you never have to miss a moment in your favorite sport or drama. Its camera is equipped with Optical Image Stabilization (OIS) technology, which keeps your photos blur-free and sharp. A physical anti-shake mechanism will allow you to take better videos, which are sure to be great with a 13MP rear camera with Sony EXMOR technology as well as an 8MP front camera for selfie goodness. The UP Max (P7,490) is built to outlast its older siblings thanks to its ultra-amped up 5000mAH battery, which is the largest on any smartphone currently on the market. With it you can enjoy up to 10 hours DTV time, 24 hours talk time, and a whopping 41.25 days on standby mode. At 9.6mm—the slimmest for a phone with a 5000mAh battery--its design remains sleek and ergonomically perfect in the palm. Plus, it comes with a DTV antenna dongle which you can simply remove when you’re not watching TV. This Android Lollipop-powered phone also comes with an enhanced user interface, better app compatibility, and improved security features, including mobile anti theft technology and data protection. Last but not the least, the UP Max also comes with a 13MP Sony IMX 135 with EXMOR RS sensor, which means you can snap photos in low-light and have them come out like a dream. The technology and versatility of DTV phones mark a new era in Philippine mobile functionality. 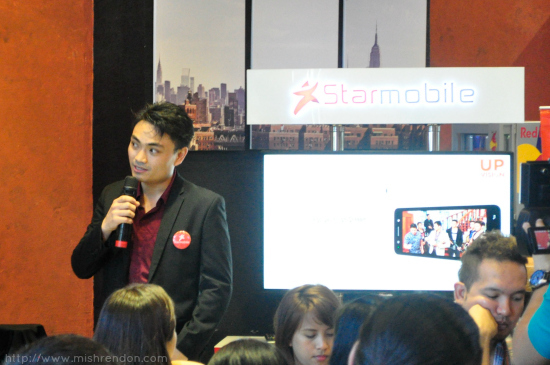 Starmobile has always put the wants and needs of Pinoy mobile users first. Admit it or not, TV is a huge part of Filipinos' everyday lives whether it's for general info or entertainment purposes. Not a day passes by without us watching the latest news on TV or enjoying our fave soap operas. 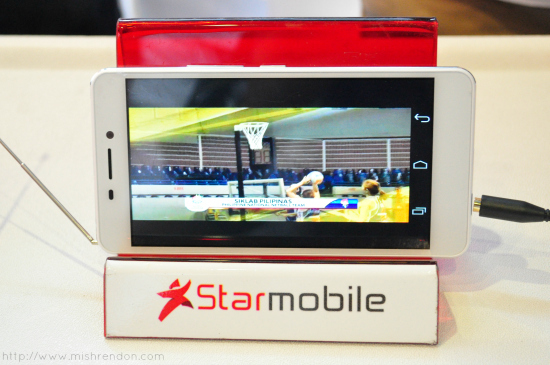 With that kind of modern and very mobile lifestyle, Starmobile has come up with it's first line of Digital TV Phones. What sets these mobile phones apart is that they made watching TV more accessible and convenient for consumers. Watching shows via DTV Phones makes TV a solo affair. You can now watch your favorite TV channels on your mobile through Starmobile without having to fight for control of the remote control whenever your favorite show is on air. Also, digital recording spreads viewing times out. 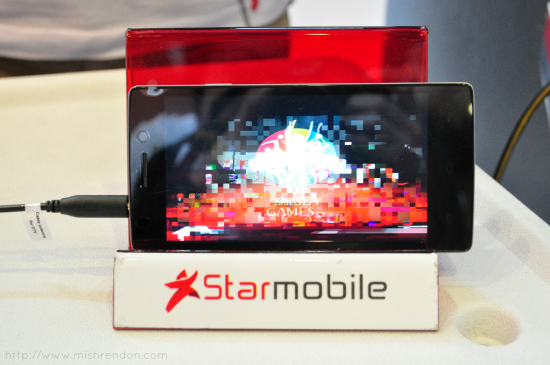 Real-time recording functions on Starmobile digital TV phones mean that you can wait until you are free to do so before you watch a TV show you’ve been meaning to catch. That frees up your social life so you don’t have to make the decision between finding out what happens on the season finale of your favorite show and meeting your barkada for dinner. Moreover, 'anytime, anywhere’ means quality TV programming can and should be 24/7. 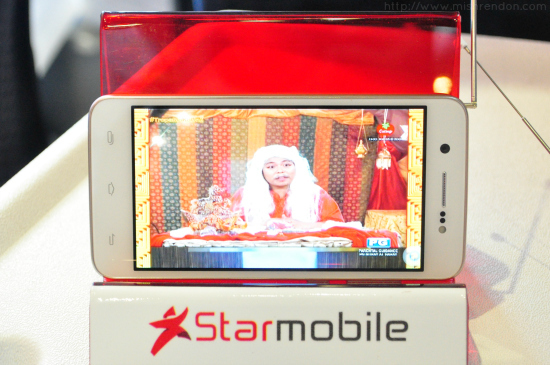 With the Starmobile DTV phones, now you can watch your shows in bed even without a TV in your room, and you can record shows you might not be able to watch when they air. Lastly, the crisper, high-quality video means more emphasis on great artistry. Any advances in the quality of video the average viewer can watch have called for the industry to update the way they do things, from the makeup techniques used on actors to visual effects achieved through filming or production. Even if you’re not a TV addict, you’ll still get a lot of use out of your digital TV phone. Gamers will love the responsiveness of the system as well as the HD screen, something people who download a lot of videos will get a kick out of, too, apart from the huge memory available for use. Instagrammers and photo-foodies will appreciate the great cameras these come equipped with, as will folks who like to capture moments in time via video (like parents and travel junkies). Honestly, I can see myself watching TV and killing time with these DTV Phones during my long commutes to and from school.